The Christian Resource Center exists to strengthen the church in Togo by providing literature in French and local languages at affordable prices to Togolese, other West Africans, and missionaries who work with nationals. The Christian Resource Center and Print Shop, located on the ABWE Togo hospital compound, was started in 1994. It is directed by a full-time missionary, Judy Bowen who works with six Togolese employees to provide Bibles at subsidized prices, songbooks, Bible lessons, various Christian books, Gospel tracts, recordings, and correspondence courses. 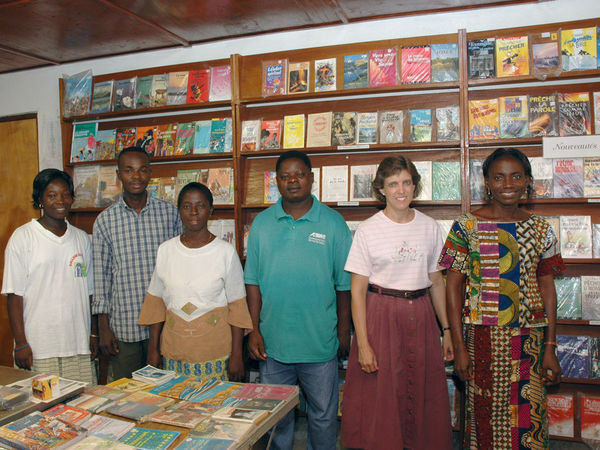 The literature is acquired by direct purchase from within Togo, as well as from Canada, the USA, Ivory Coast, and Europe, or it is written in Togo by nationals, or translated by permission of the original publisher, and printed in the Print Shop.